In this article, we have summarized all reviews of brokers and trading platforms, so you can choose the one that suits your needs and wishes. We have tested many platforms for over four months and will continue to test new platforms if they seem promising. At Irish Avatrade, it is possible to lose more money than the deposit on one’s account. The trading platform and charting package are obsolete. Trading costs are high, so it’s very natural that they market themselves with aggressive bonuses to attract new customers. You can read the full review of Avatrade here. InstaForex was not much better. At Russian InstaForex ,you cannot lose more money than your account balance, but in return, they are not regulated, which means great uncertainty for your money. They offer trading exclusively through the MT4 and MT5 platforms. Again, aggressive bonuses are used to entice new customers to accept the very high trading costs. 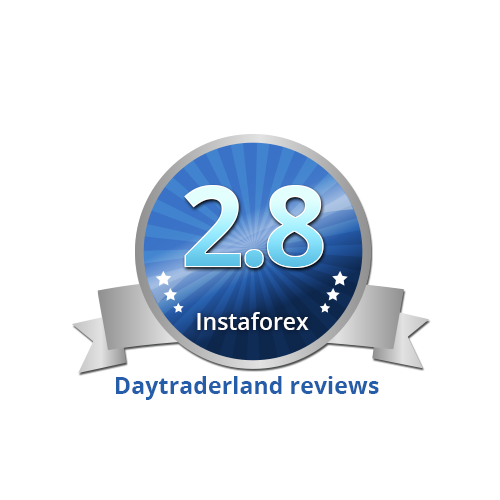 You can read the full review of InstaForex here. Israeli Plus500 is more an online casino than a decisive trading platform. They market themselves with aggressive campaigns and promise bonus to new customers, but at least they are regulated by the Cypriot authorities. The trading platform and charting package are disappointing, but they offer an unlimited demo account. You can read the full review of Plus500 here. Cypriot Markets.com has become popular in Denmark after it has been marketed in several competitions. 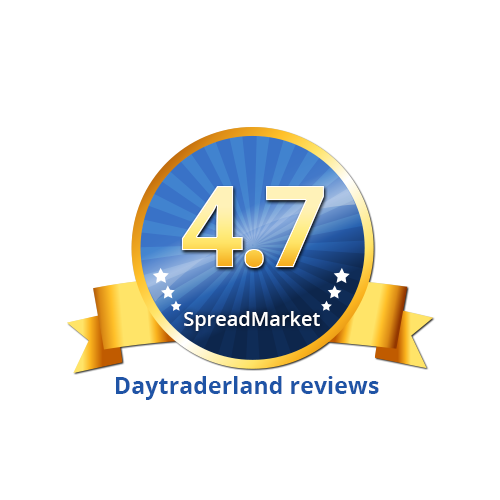 Spreads at Markets.com are the highest we’ve seen so far in our reviews and are one of the reasons that they are not higher on our rankings. In addition, their trading platform is also very inflexible and not possible to customize. All in all, it’s an all-in-one start-up platform. You can read the full review of Markets.com here. English ETX Capital is relatively well-known and has previously been very popular in Denmark before they began to have technical problems with, among other things, executing their clients’ stop-loss. Their trading platform and charting package are better than the above brokers, but still missing a portion to be on the same level as their competitors. They are distinguished by having support in Danish, but unfortunately, they are also known for their aggressive bonuses. You can read the full review of ETX Capital here. Danish SaxoBank has a very good product and high security, but unfortunately, they also have too high trading costs to be attractive to the serious daytrader. You can read the entire review of Saxo Bank here. English IG Markets is one of the better brokers and there is a reason that they have become the world’s largest CFD broker. They offer high security, but unfortunately, you are also able to lose more money than your account balance. Trading costs are in the better end, products are plenty, but unfortunately, disappointing charting package. You can read the full review of IG Markets here. Finsa Markets is a new Danish / English broker, which has emerged in the same premises as ETX Capital in Denmark and with ETX’s Danish director as a registrant of the domain. On the surrface, the platform looks exciting, but the above conditions create some uncertainty about what actually happens between Finsa Markets and ETX Capital. In addition, the company is running aggressive bonuses to attract new customers, which rarely is a good sign. You can read the full review of Finsa Markets here. American FXCM is one of the largest retail brokers in the whole world. As with IG Markets above, they are regulated in England, but unfortunately, they also offer customers the chance to lose more than their account balance. Their products are focused on Forex, but also limited. They offer a total of five different trading platforms and three different account types with associated trading costs. Demo account and customer service are top – and FXCM does not use aggressive bonus programs to attract new customers. You can read the full review of FXCM here. American Interactive Brokers is a very popular trading platform dedicated exclusively to customers over 21 years with an account balance of at least $ 10,000. On the other hand, security is in the top. The trading platform and charting package are very good with the ability to trade directly from the chart. Trading costs are calculated completely different from other brokers, but seem quite excellent. There is the possibility of a demo account and the customer service is very good. They do not use bonus programs to entice new customers. You can read the full review of Interactive Brokers here. English FX Pro specializes in Forex trading. It offers high security and accountability guarantee as well as offering the beautiful trading platform cTrader and MT4. Trading costs are good on Forex, but on stock indices they are way too high. You can read the full review of FxPro here. SpreadMarket is owned by Ayondo, the biggest player in CFD trading in Germany and are regulated in London, which means that the security of your money is top. The trading platform and support are now available in Danish, which is a big advantage especially for new traders. In addition to offering thousands of products, they offer the so-called Social Trading, where one can choose to make their money follow the most successful traders on the platform. The charting package is really good. Trading costs are very competitive. 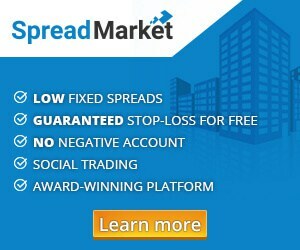 In addition, SpreadMarket offers a guaranteed stop-loss for free on most products. You can read the full review of SpreadMarket here.